I’m reading through the Psalms and I’m writing my own MyPsalms… They are a wonderful way to connect God and I in real conversation. I hope you are enjoying them. Maybe you will feel inspired to write your own Psalms! 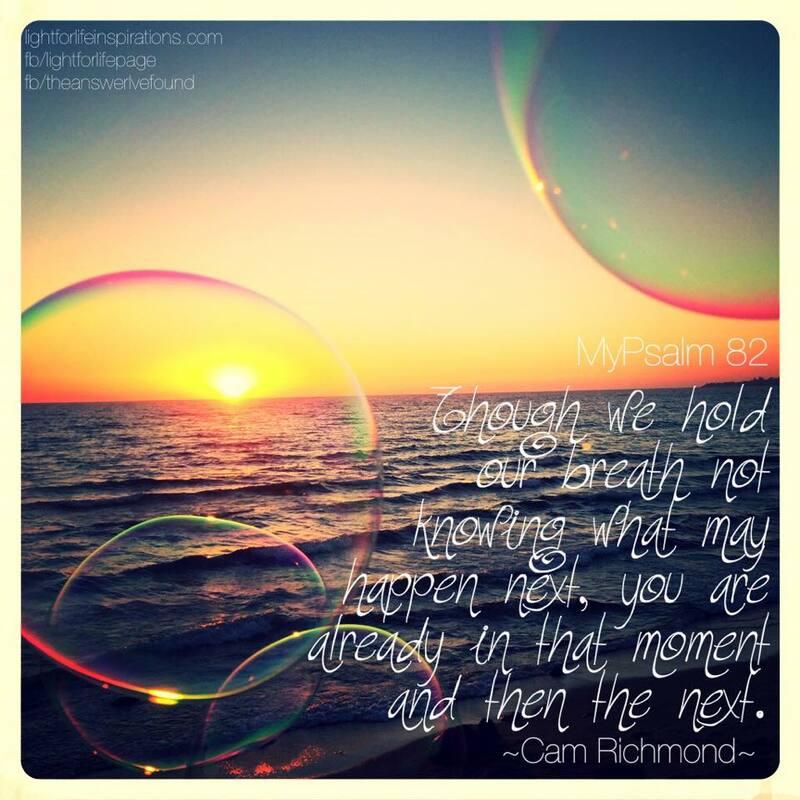 Though we hold our breath not knowing what may happen next you are already in that moment and then the next. Even when life seems fragile, in your hands it is sure and secure, each and every day is known and accounted for. Hold our hands as we pass through and lead us by the way that you have planned. Give us a sign of your presence as we step out into unknown situations and let our hearts burn with the knowledge that you hold us in your embrace. I love you Lord in whom is all my trust. Thank you that your goodness is like a fountain that will never run dry and it continually washes over me. Lord right now soak me in your goodness and in your kindness. 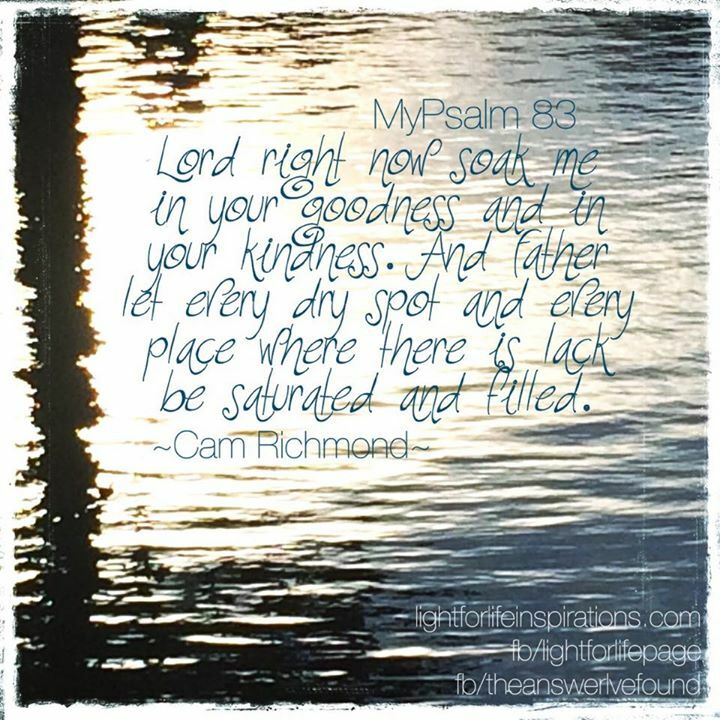 And Father let every dry spot and every place where there is lack be saturated and filled. Lord remind me to draw from your never-ending wells each day and that there is plenty to go around to all in need. You are my source. Lord fill every one who is yours, that through them you may water the earth with your goodness and kindness. For it is your kindness that leads us to repentance. It is your love beyond reason and without condition that confounds the wise and opens hardest of hearts. Lord you know those who are in desperate need, who haven’t yet found you. Let their thirst lead them to the waters of ever lasting life. Thank you for Jesus for saving me. You were always there and you never left my side. You just waited till I realized that I knew I needed you and then we embraced. Ever since then you have been making yourself known to me. 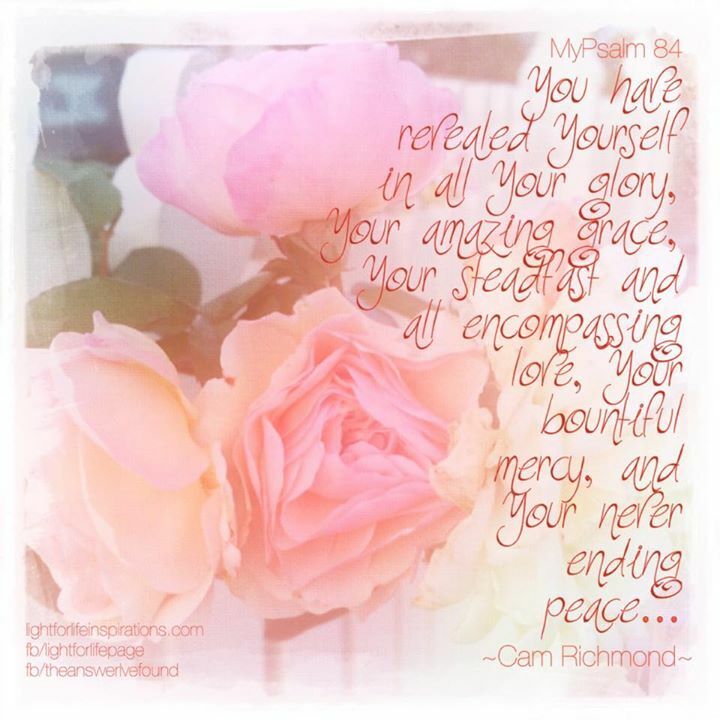 You have revealed yourself in all your glory, your amazing grace, your steadfast and all-encompassing love, your bountiful mercy, your never-ending peace. There is always more of you to learn, I can only begin to grasp your majesty and the awe that surrounds you and how you work in our lives. believe, Bible, God, hear, hope, Jesus, King David, life, listen, praise, pray, Psalm, trust. Bookmark. Faith in what or whom?